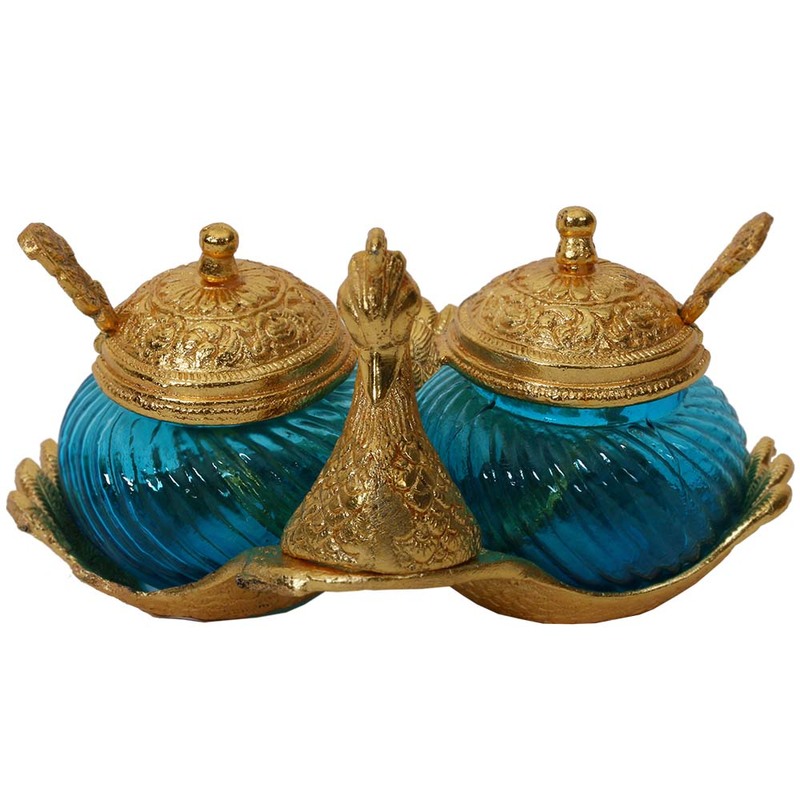 A peacock shaped mouth freshener container with dual compartments and serving spoons. 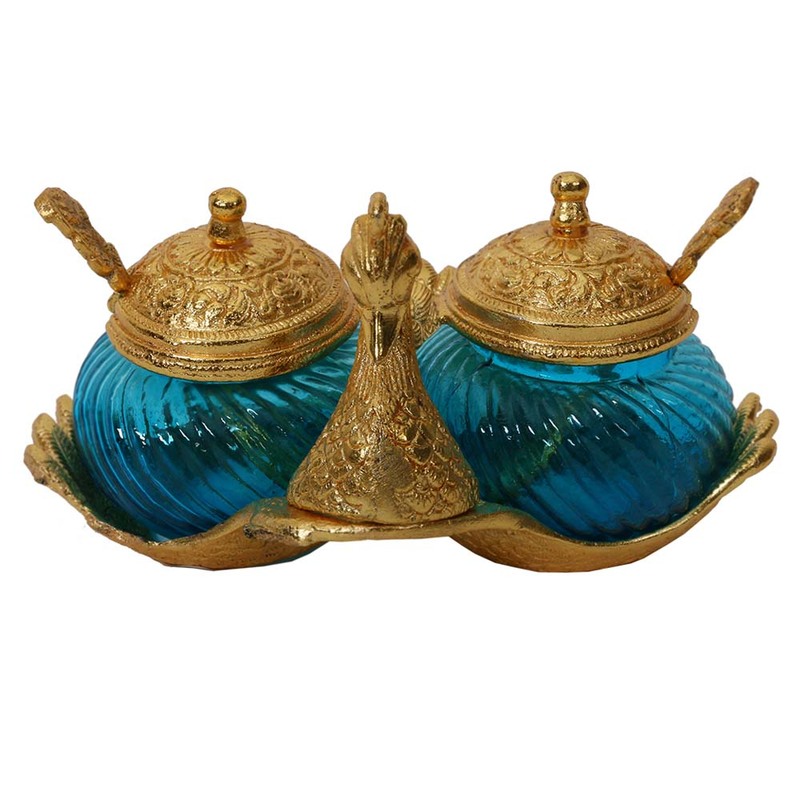 The body of the two compartments are made with high quality sea blue coloured glass, which is encased with oxidised metal casings to provide extra Read More..support. 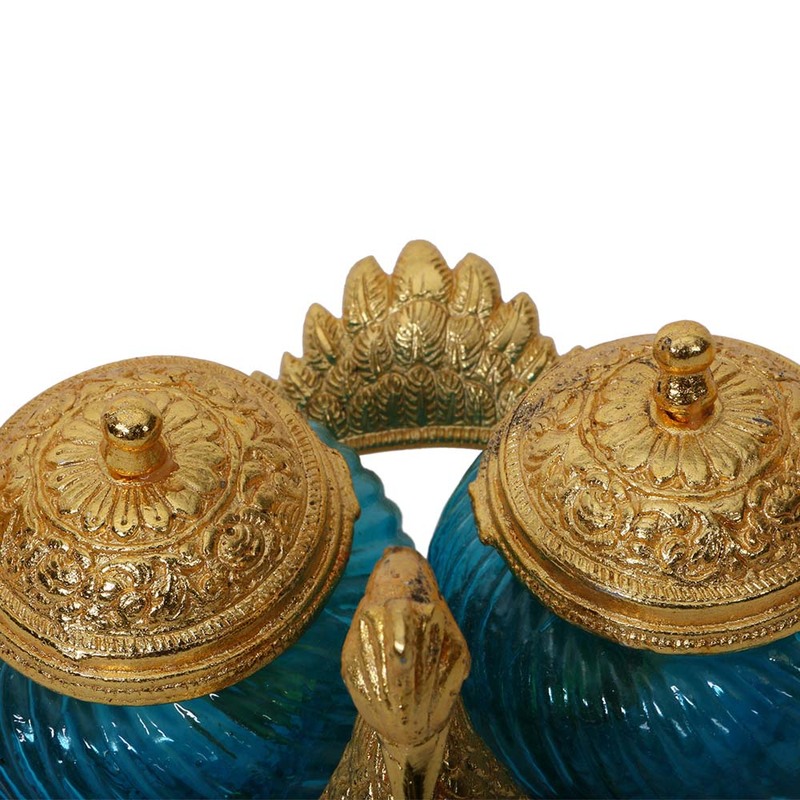 The neck of the peacock along with the base, the serving spoons and the lid are engraved with beautiful designs to enhance the overall beauty of the container. 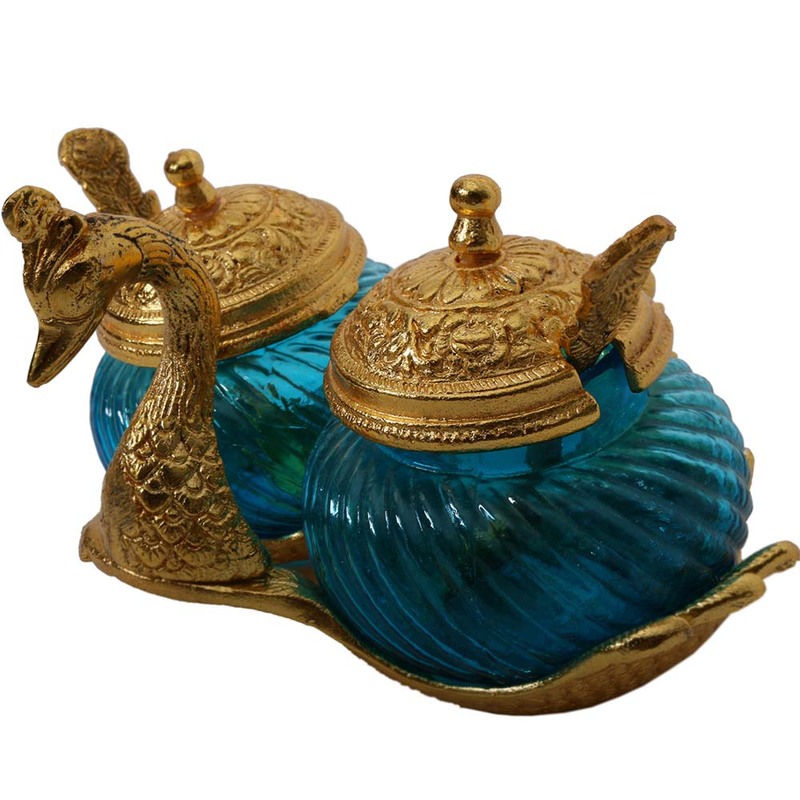 This container also has the identical swirling design on its glass components as a single compartment container. The level of finishing and polishing is also top notch. Show Less..